Shed 10, an historic cargo shed on Queens Wharf, has been given a makeover. Once inhabited by pigeons, this used to be a dusty storage area for imported second-hand cars. 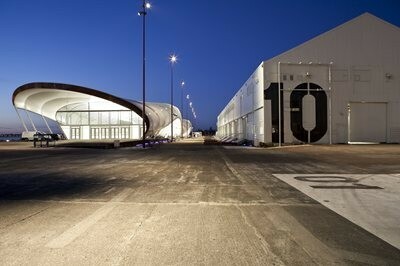 Shed 10 has been repaired as part of the recent 18-month redevelopment of Queens Wharf. This lovely old building has had doors repaired or replaced and has been given a new roof. Its exterior cladding has been repaired, made watertight and painted, while the interior has been tidied up and services installed. Visitors to Queens Wharf will now see a large black '10' painted near the southern entrance—leaving them in no doubt as to the name of the shed!